In the Ogasawara-ryu Reihou school of etiquette, the spirit of courtesy and consideration for others is valued above all else. This spirit has long been expressed through manners and gestures. Manners enable men and women to conduct themselves with dignity and refinement, whether in the workplace, out in public, or during ceremonial occasions. 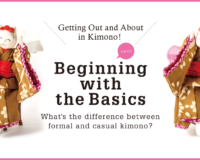 In this article, we look at the correct table manners for a range of Japanese dishes. Part 1 of this series looked at the proper way to eat with chopsticks. In this article on Japanese etiquette, we look at how to enjoy a range of Japanese dishes, secure in the knowledge that our table manners won’t let us down. 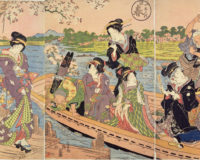 In a traditional multi-course meal, the sashimi course (also sometimes called otsukuri) is usually served after the zensai (hors d’oeuvres) and the suimono (clear soup) courses. The sashimi will be arranged on the plate with white fish and squid nearest the diner and red fish such as maguro (bluefin tuna) to the rear of the plate. Shellfish is generally placed next to the white fish. A general rule with Japanese cuisine, which applies also to sashimi, is to partake of the more subtly flavoured items before moving onto the richer flavours. This allows us to truly appreciate the nuances of each subtle flavour, without the stronger flavours dominating. For this reason, when eating sashimi, we begin with the mildly-flavoured white fish before savouring the robust flavours of the red fish. When it comes to wasabi, there isn’t necessarily anything wrong with adding wasabi to your shōyu (soy sauce). However, it doesn’t look very nice and it is important to consider not only flavour and fragrance of the wasabi, but also the appearance. Accordingly, placing a small dab of wasabi directly onto the sashimi not only allows us to savour it better, it also looks more attractive. As for the garnish, sashimi is often decorated with hojiso, the unopened flower spike from the shiso (perilla) plant. These tiny flower buds are rather tasty, but how do we politely eat them? Hold the end of the flower spike with the fingertips of your left hand and draw the hojiso between your chopsticks to remove some of the buds. You might place the buds in a shōyu bowl, or directly onto the sashimi. Hold the shōyu bowl in your left hand. Only pour a dash of shōyu into the bowl. Place a dab of wasabi directly onto the sashimi. The shōyu bowl is another point to consider. If you leave it on the table and try to eat your sashimi without dripping sauce on the table (or on yourself), you’ll end up bending over your food to eat it, which spoils your posture. To maintain good posture, pick up the shōyu bowl in your left hand and bring it towards your chest as you eat the sashimi. You should only ever pour a small dash of shōyu into the bowl, so as not to drown your sashimi. You can always add more later. Although meat is now sometimes served as the grilled dish (yakimono), traditionally the yakimono course would be grilled fish, typically a thick, cross-cut piece of fish cooked with the bones in. You might be served saikyō-zuke (fish marinated in sweet miso and grilled), kasu-zuke (fish marinated in sake lees) or teriyaki-style fish, marinated in sweetened soy sauce. 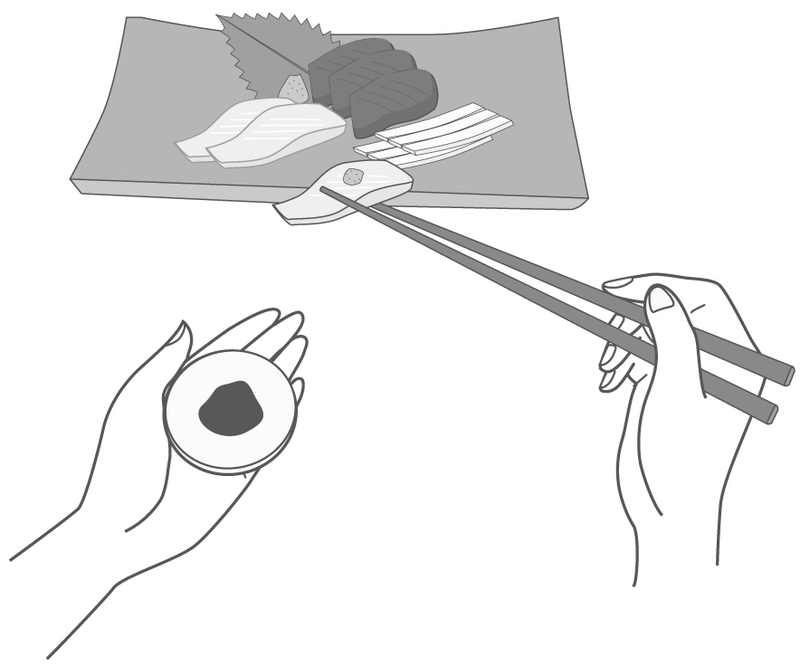 Fish is eaten starting from the left-hand side, cutting off one mouthful at a time with your chopsticks. For those who prefer not to eat the skin, leaving it on the plate is acceptable. If you happen to get a small bone in your mouth, use your kaishi paper or your left hand to hide your mouth while you remove the bone. Leave it on the side of the plate along with the fish skin and the garnish. 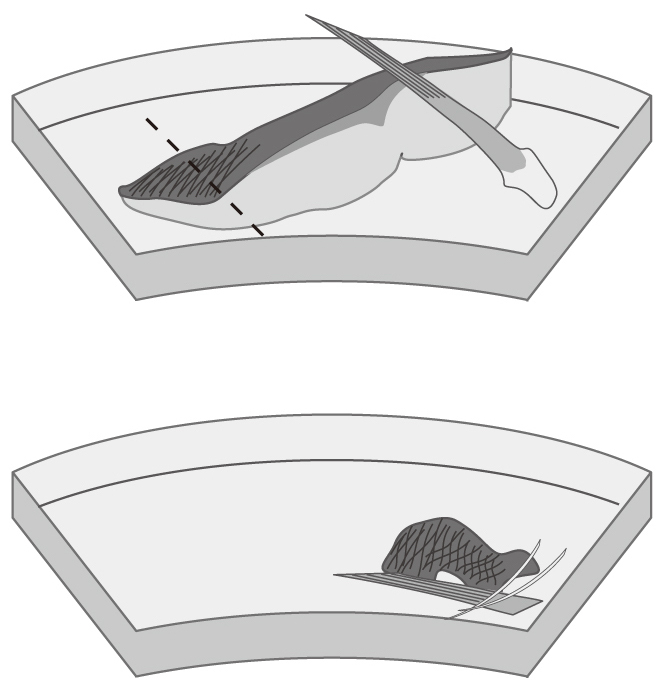 Fish is eaten with chopsticks from the left. The skin can be eaten, or left on the side of the plate. Nimono is a mildly-flavoured simmered dish with the base ingredients served in a light broth. It is sometimes called takiawase. Nimono is generally served in a nimono-wan, a shallow bowl with a lid to retain the heat. The lid will have a lot of moisture clinging to the inside, so care must be taken to avoid letting this drip onto the table. Also, avoid placing the lid ‘face-down’ on the table. ① Steady the bowl with your left hand. Grasp the raised rim of the lid with your right hand. Lift the side nearest you first. ② Hold the lid on its side at the right hand side of the bowl and give it a gentle shake to let the moisture drip back into the bowl. ③ Bring your left hand to the left edge of the lid. ④ Move your right hand to the right edge of the lid so that you are now holding it in two hands with the inside of the lid facing up. Place the lid to your right on the table, resting it on the raised rim with the inside facing up. Once you have taken the lid off, hold the bowl in your hand as you eat, to avoid dripping any broth onto the table. If the bowl is either too hot or too big to hold, you may use the lid or your kaishi paper as a plate to carry each mouthful. Some of the pieces in the bowl may be too large to be eaten in a single mouthful. If they are soft enough, use your chopsticks to cut them into bite-sized pieces. However, some ingredients such as bamboo shoots cannot be cut with chopsticks. In this case you may eat them in two or three bites. However, it is impolite to return anything you have bitten to your plate, so once you have bitten into something, you must continue eating it until it is finished. In a multi-course meal, all dishes are served at a temperature that best complements the flavours and textures of the cuisine. Food served hot is intended to be eaten while still hot, and chilled food should be eaten before it comes up to room temperature. This, too, is a way of showing consideration and appreciation. Avoid becoming carried away with a conversation to the extent that your meal sits on the table unattended and unappreciated. 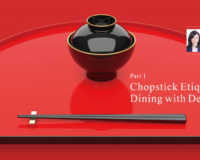 Along with the tips on eating with chopsticks from Part 1 of this series, you will be able to confidently enjoy Japanese cuisine in formal dining situations. Keishōsai Ogasawara is the 33rd hereditary head of the Ogasawara-ryu Reihou school of etiquette, having succeeded to the position following the death of the 32nd head of the school, Tadamune Ogasawara, who passed away in 1996. 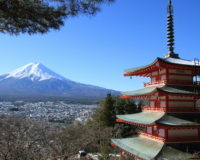 Born in Tokyo, after graduating from Sacred Heart Professional Training College, Ogasawara studied abroad in the United Kingdom. 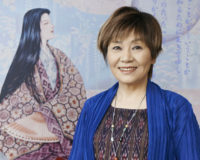 She was the deputy head of Ogasawara-ryu Reihou until becoming the head of the school in 1996. 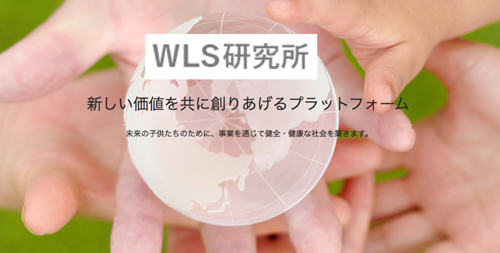 She writes and lectures widely on the subject of Japanese etiquette and provides guidance to a number of Japan’s leading corporations and important public figures.